Adblock Browser for iOS is an easy to use, customizable web browser. Block ads to protect against malware and save data and battery. Disable tracking, choose your search engine and more. Search the web quickly, safely and privately. From the team behind Adblock Plus, the most popular ad blocker for desktop browsers with more than 400 million downloads, Adblock Browser allows you to take back control of your mobile browsing experience. A built-in ad blocker. Block annoying and intrusive ads, including ads on videos watched within the Adblock Browser, improve your web browsing experience and save data and battery life in the process. By default, respectful ads that meet the strict criteria of the Acceptable Ads initiative are shown, which helps support great content creators. Want to block all ads? No problem. Easy to use options allow you to control what you see. Ghost Mode: Browse the web entirely privately. When Ghost Mode is active your mobile device will not store any browser or search history, cookies or temporary internet files. A simple tap is all it takes to access Ghost Mode, and exiting will wipe all history of the browsing session. Ease of use. Adblock Browser is intuitive, offers smooth scrolling and has easy bookmarking tabbed browsing features. Changing any setting or whitelisting websites take only a few taps. Adblock Browser 2.1.0 for iOS features user interface tweaks as well as an overall improved user experience. - Optimized user experience for different screen sizes. - Minor text improvements; updated the app name on the home screen. Questions or feedback? 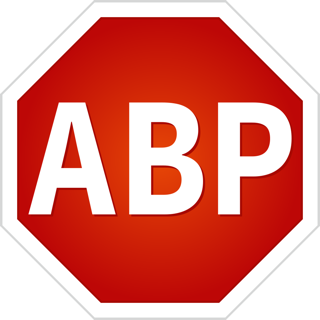 Send us a message at abb@adblockplus.org. Like the app? Write a review! This is a great browser, no doubt about it. But, I am giving four stars. There are two things, upon which you need to improve. 1) There are certain pages, which redirects the user to the App Store with to download the advertised app. It is an advertisement nonetheless! Hence, that must be countered. 2) There are many websites on the net which are blocking ad-blockers. Kindly look into it and introduce something which can encompass such a block. Better most adblocking browser, however needs lot’s of improvements. Crashing frequently with many sites, having video streaming contents and lot’s of ads. Please fix this asap.